Shekar Pannala is a senior technology leader with 23+ years of experience in delivering enterprise-class solutions in the financial Services industry with deep experiences across the investment lifecycle and a strong understanding of both technology and business. Shekar's accomplishments include delivering the first mobile platform for Securities Servicing industry, building enterprise-wide Digital analytical Platform, Large-scale Systems integration projects, Equity trading, FX and Risk Management Platforms. He was also instrumental in building the first automated lending platform for Securities Finance as well as rearchitecting large operational platforms. Shekar also has a strong infrastructure experience and led infrastructure optimization efforts that include standardization, virtualization and moving to a cloud platform. Prior to Chubb, Shekar was CTO at S&P Global and before that CTO at BNY Mellon. 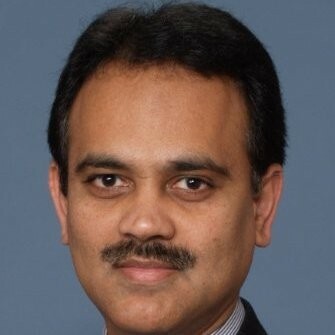 Shekar was recognized as top ten innovators in 2012 and is a frequent speaker at Industry conferences. Click here to register. Seats are Limited! Please register early as events can and do sell out quickly. Registration is subject to availability and will close on Monday, April 23rd at 4:00pm - No Exceptions!